A must for every Rainbow Magic fan - a wonderful Christmas special, with three books in one! 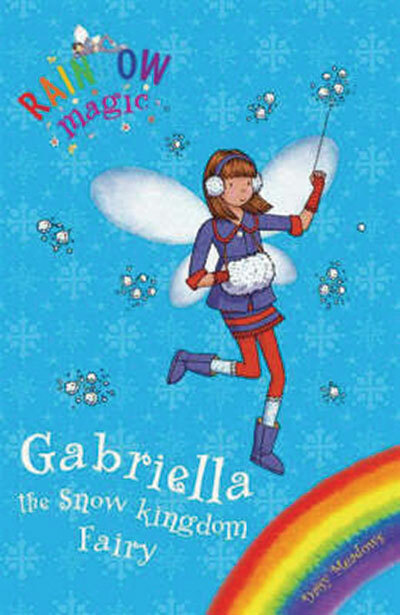 Gabriella the Snow Kingdom Fairy makes Christmas a sparkly, cosy and happy time with her three magical objects -- the Magic Snowflake, the Magic Firestone and the Festive Spirit. But Jack Frost and his goblins have stolen them! Can Kirsty and Rachel help Gabriella find the objects before Christmas is ruined for everyone...? Daisy Meadows is the pseudonym used by Working Partners, the creators of Rainbow Magic and other successful series such as Animal Ark and, more recently, Beast Quest. Rainbow Magic is now owned by HIT Entertainment Ltd.